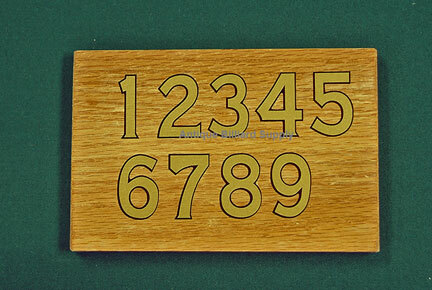 #11-05 Gold numbers with black outlines for antique ball racks or other billiard room applications. Self-stick, pressure sensitive for easy application. About 1.75" tall, 1.25" wide. Available in sets of numbers 1 through 9. $20 per set.